http://www.rc.net/lansing/ctk/ Christ the King Catholic Church, Ann Arbor MI. This is home parish to many of us, called to minister to Catholics who are seeking a deeper presence of the Holy Spirit in their lives. Liturgies and overall ministry are oriented to encourage growth in the Holy Spirit and the charismatic gifts that He wishes to provide. Servants of the Word, an ecumenical brotherhood of single men that is home to John Keating and Ed Conlin. Ed is our most prolific composer. The Word of Life Community is an ecumenical Christian community in Ann Arbor, MI, made up of individuals and families who have discovered the joy of a rich shared life in Christ. The Word of God Community is an ecumenical, charismatic, missionary Christian community -- Christians from many different church backgrounds who have experienced new life in Jesus Christ and the empowering of his Holy Spirit. "Songs of Praise" 1970's "roots" praise & worship music is available as CD re-releases from their website. The Servants of God’s Love, a religious community loving and serving the Lord in the Diocese of Lansing, Michigan. composers Sr. Stacy Whitfield and Sr. Sarah Burdick area members of this order. www.DebMantel.com The web site for Deb Mantel, one of our songwriters and performers. Check out her other music. 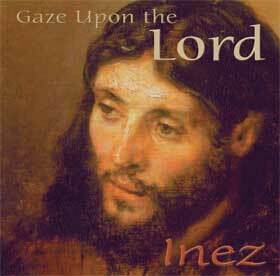 www.inezmusic.com Check out the contemplative music of songwriter-singer Inez Gavrilides, prayerful soloist on our albums. Come and See ~ Catholic Bible Study proclaims the Lordship of Jesus Christ by the power of the Holy Spirit for the glory of God the Father. Catholic Bible Study materials are written to enable people to come to know Jesus Christ in a deeper way in the study of the Sacred Scriptures and to conform their lives to God's Word. Seeking to preserve the Catholic sense of Scripture, we provide short DVD-based lectures, orthodox biblical commentary in a readable format, with study guides and links to related sections of the Catechism of the Catholic Church. Renewal Ministries Proclaiming Jesus Christ in the power of the Holy Spirit through Catholic renewal and evangelization.